My primary profession might be 'author,' but it turns out I wind up doing various other things as well. Some of my other jobs, like making video trailers for other writers' books, are really cool/fun/challenging and creative in their own right. 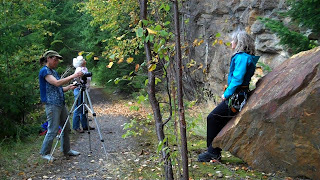 Earlier this fall I travelled to the Slocan Valley in the Kootenays to shoot footage to be used to promote Margo Talbot's soon-to-be-released memoir, All That Glitters. 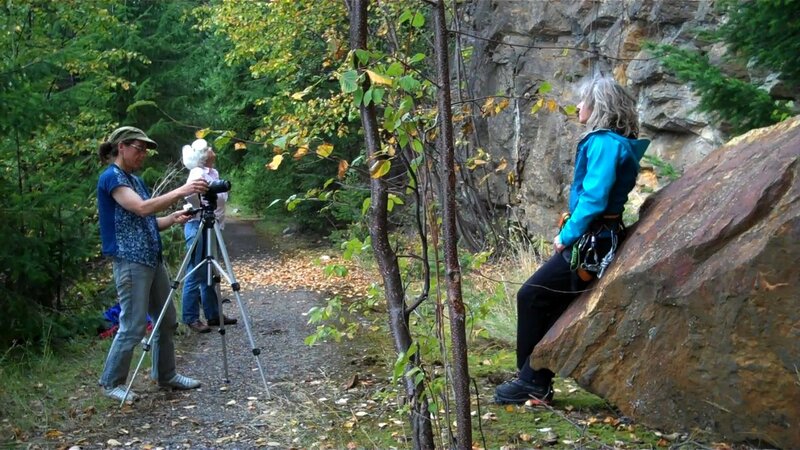 Margo was a great sport, putting on her climbing equipment, perching on boulders, and repeating her 'elevator speech' about a gazillion times. The footage (and additional audio) we collected over three days will eventually become a series of video interviews and podcasts. Here's the first one, a video trailer for All That Glitters. Curious about the Slocan Valley? Check out this book by BC author, Katherine Gordon.